Copy gerrit.war to /var/lib/gerrit/review_site/bin/gerrit.war [Y/n]? The proposed default [git] is the subdirectory of /var/lib/gerrit/review_site where the git repositories are expected to be found. The default H2 is chosen because the configuration for MySQL did not work (for an unknown reason). Since the machine running gerrit only has a private IP, the http server is configured to run behind a reverse proxy that will be configured on another machine and proxy all requests going to /gerrit/ ( note the trailing and leading /, both are mandatory ). Gerrit will expect users to be authentified. This is done, on the reverse proxy virtual host, by requiring a user when accessing the /gerrit/login/ location. Welcome to Gerrit Code Review at gerrit.novalocal. Note that $email.gerritUrl above must be replaced by http://redmine.the.re/gerrit/. After validation another email can be added. The project is created using the gerrit create-project command. connects it to the switch'"
Note that the description is enclosed in single quotes enclosed in double quotes. 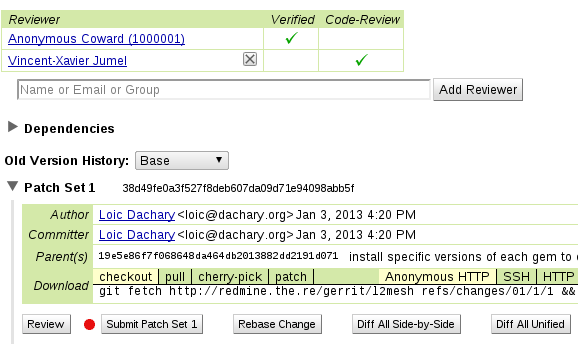 The git-review package contains the necessary components to setup a clone to submit reviews to gerrit. The basic idea is that a push is replaced by a review which submits a review to gerrit. 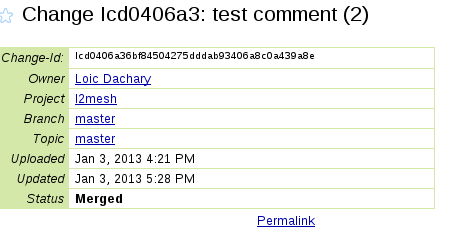 The .gitreview file at the root of the git repository is created to contain the address of the gerrit server. Receiving objects: 100% (105/105), 73.32 KiB, done. Select Gerrit Trigger after filtering with gerrit in the plugin manager. 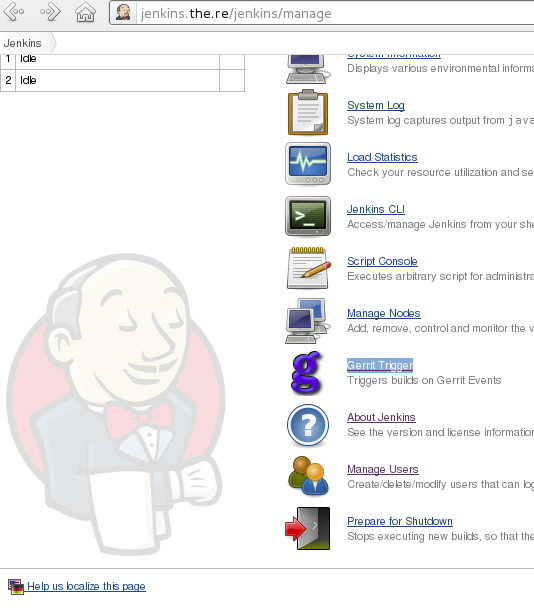 And when going back to the jenkins home page the Query and Trigger Gerrit Patches menu entry has been added to the left menu. 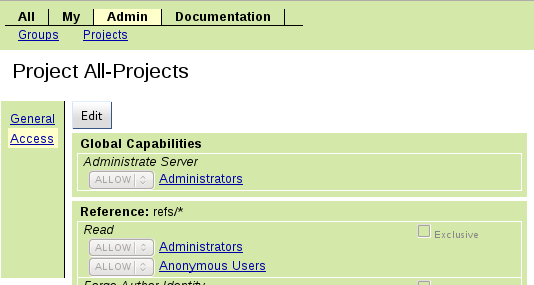 It must be able to clone the l2mesh repository from the jenkins machine. The authenticity of host '[gerrit.novalocal]:29418 ([10.145.0.15]:29418)' can't be established. RSA key fingerprint is ba:52:ed:8b:23:19:62:de:41:7c:17:84:e9:31:c6:c0. 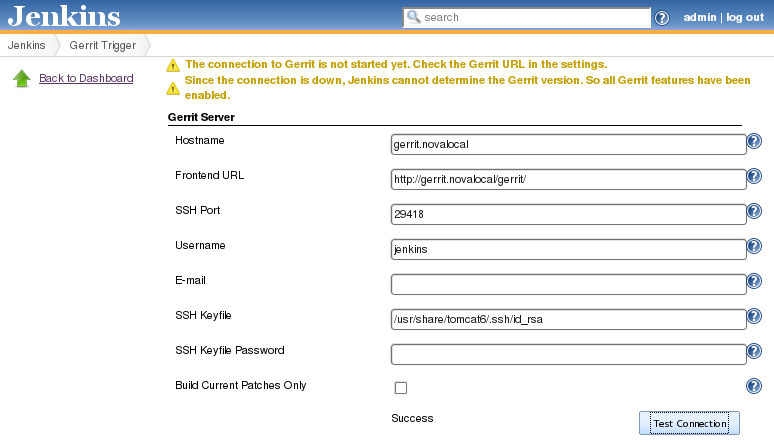 Warning: Permanently added '[gerrit.novalocal]:29418,[10.145.0.15]:29418' (RSA) to the list of known hosts. 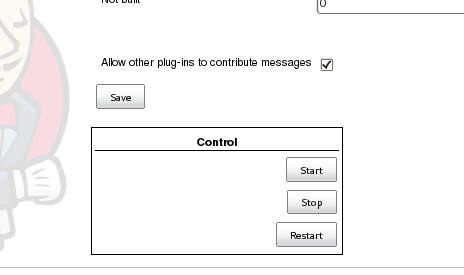 The jenkins user is then used to configure Gerrit Trigger as shown in the screenshot below. The Test Connection button shows it works by displaying success to the left. The Restart button at the bottom of the page, in the Control box must be clicked before clicking Save. If the following error shows, click Restart and Save again. The l2mesh project is configured by clicking both Advanced buttons to display the required input boxes and following the Gerrit Trigger instructions ( Usage with the Git Plugin section ). Jenkins is required to monitor the ssh://jenkins@gerrit.novalocal:29418/l2mesh.git repository and to checkout the reference $GERRIT_REFSPEC from the branch $GERRIT_MASTER. The strategy to poll the repository is set to Gerrit Trigger in the Choosing strategy select box. The jenkins user is expected to Verify a patch and all registered users are expectd to review them and be able to give them a +2. When a patch is reviewed, the registered users are expected to Submit the patch (i.e. push it to the git repository). The default gerrit permissions are too restrictive and need to be relaxed. 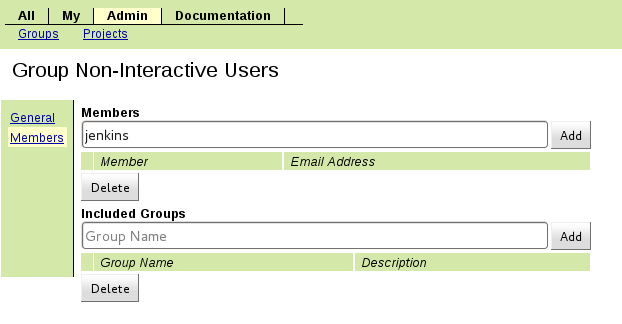 The jenkins user is added to the group of Non-Interactive users. The gerrit projects are organized in a hierarchy that where permissions are inherited. The All-Projects project is the root of this hierarchy and its permissions are modified so that they are inherited by all children projects. The permissions to Review, Submit and Verify need to be adjusted for the refs/heads/* Reference. The Submit and Verify permissions must to be added. The Non-Interactive and Registered Users can then be adjusted to match the requirements. When it is finished the Save changes button at the bottom of the page must be clicked. 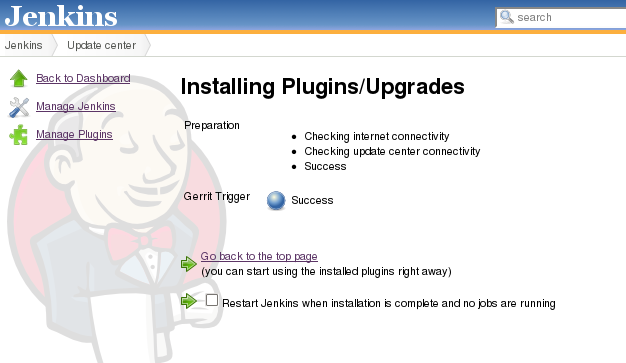 The Query and Trigger Gerrit Patches menu entry to the left of the jenkins home page allows to manually trigger jenkins on designated patches. Looking for l2mesh in the search box will display all the pending reviews. 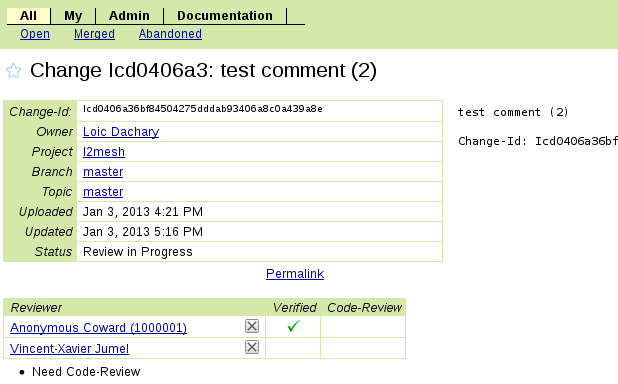 after the Trigger Selected button is clicked, the corresponding jenkins job is run and its progress shows to the left. and the result will show in the web interface, in the Verified columns (jenkins shows as Anonymous Coward because its name has not been set). The user Vincent-Xavier Jumel was created ( in the same way the user loic was created above ) and is expected to review the code ( this is why the Need Code-Review shows at the bottom of the screenshot above. After Vincent-Xavier Jumel review with a +2, the default gerrit requirements for a patch to be pushed are met and the Submit Patch button shows. After clicking on the Submit Patch button, the status of the review changes to merged. Very nice tutorial, finally I am able to run Gerrit.